Nature's extraordinary bounty! 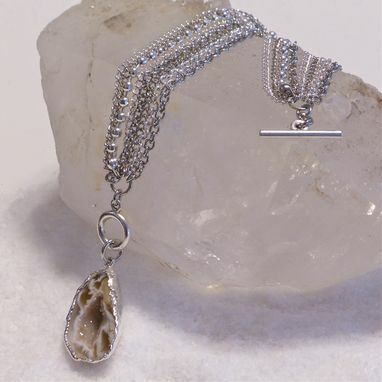 Geodes glimmer and sparkle with crystals buried deep within an unassuming rock. 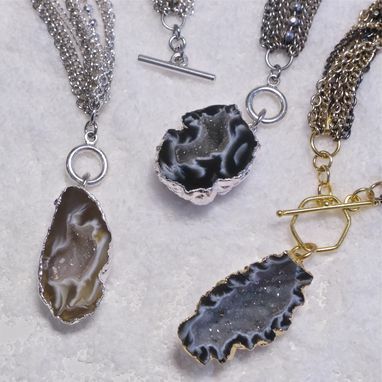 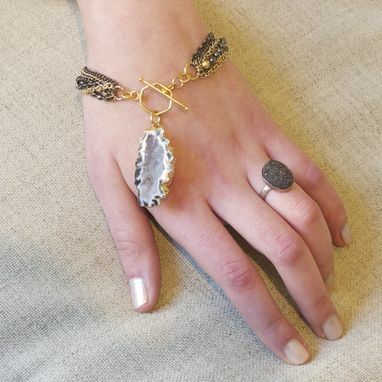 Geodes come in an array of color tones from tans to greys to black and white. 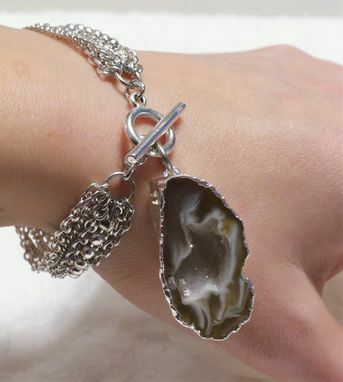 The BRACELET will be fitted with one Geode set at the toggle closure. 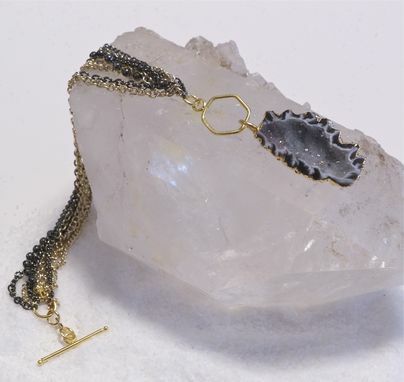 It will wrap with multiple pieces of chain, all of various styles in silver-gunmetal or gold-black. 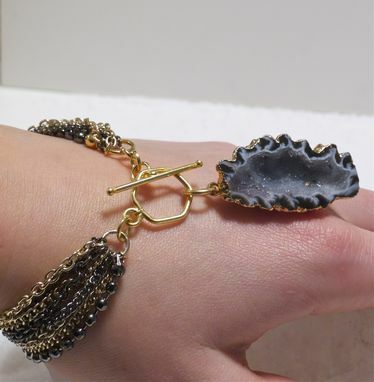 Other styles are available and can be custom made for you.